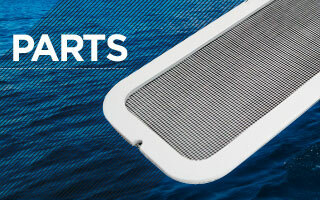 Replacement Frameless Acrylic portlights are precision machined to the exact dimensions and set with gasket. These particular portlights were used heavily on Hinterhoeller sailing vessels. Replacement frameless trapezoidal hatch, included is new precision machined acrylic, fresh gasket, hatch knobs, and all hardware (excluding handles). Our quality parts, expert craftsmanship and professional experience make us the industry leader in hatch and portlight repair. 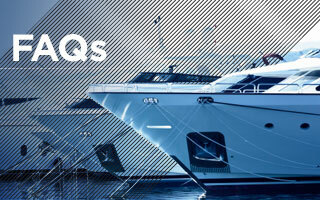 Our hatches are backed by a 1-year guarantee. Find the part you need in our large selection of after-market parts. We can also help you locate special parts or build custom parts, if need be. We take your hatches or porlights and repair or rebuild them, then send them back to you for a fraction of what it would cost to replace them. In addition to replacing the acrylic lens, we can replace and upgrade the gaskets, seals, hinges, springs or any other hardware. Questions about your leaky hatch? 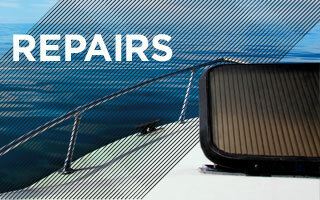 Leaky hatches and portholes can be a huge nuisance and naturally you’ll have questions about their repair. But rest assured we can answer any concern you may have.